We headed out to Los Angeles California this week to attend Pollstar Live and to exhibit our ticketing software to the event industry at Event Live Expo. We'd like to thank all of the event organizers for providing such a great opportunity to get to know our peers, clients and competitors. We have started some amazing new partnerships! We've done a quick renovation of the shipping rates on our printed tickets. We made the changes in response to new rates issued by the U.S. Postal Service, but we've also adjusted the breakdown of how ticket orders get shipped out - and this will result in serious savings for a great deal of orders. For orders larger than 3000 tickets, just contact your customer support representative. New Features of the Week! We've separated the BoxOffice status from the overall status of the event. 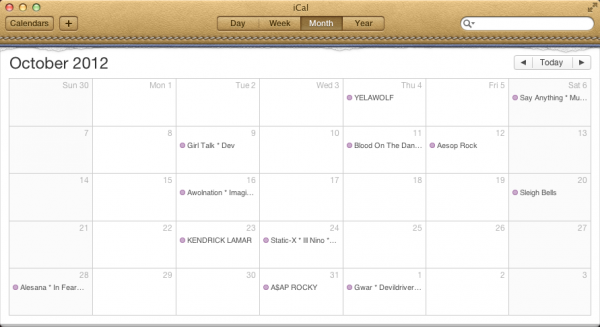 This will allow you to schedule an announce date, or place the event on hold, while keeping it visible in our BoxOffice browser page or SWARM mobile box-office app. There is no longer a need for switching between Box Office and On-Hold or Announce statuses just to place some holds on your seating chart, or to create your pre-sale tickets before actually going on sale with the event. 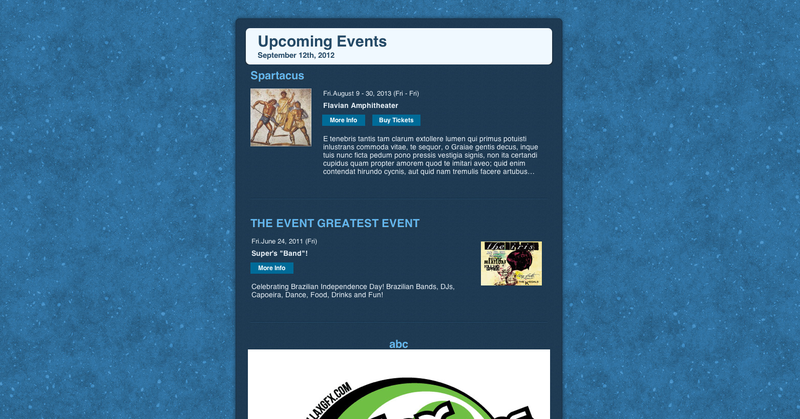 If your event is published, it will automatically be visible in Boxoffice and SWARM, too. That's right! You can now see your seats colored according to the hold category they belong to. Just click the new paint bucket icon on the left navigation to see your colors light up! You can now convert held seats to a sold seat, just make sure your held seat belongs to a category that has CAN SELL? checked. This will enable the conversion of a held seat to a sold seat. If you wish to not allow held seats to be sold, be sure they belong to a category that does not have CAN SELL? checked. Note: This feature is not enabled for all Boxoffice users by default. If you wish to use this feature, please contact a HoldMyTicket customer service agent. To convert your held seat, just click it from the seating chart view in Boxoffice, like you would any other available seat. A warning will tell you that you are about to convert the held seat to a sale. That's it for today's rollout! We're hope you enjoy these new features. As always, please let us know if you have any questions or other thoughts to send our way. 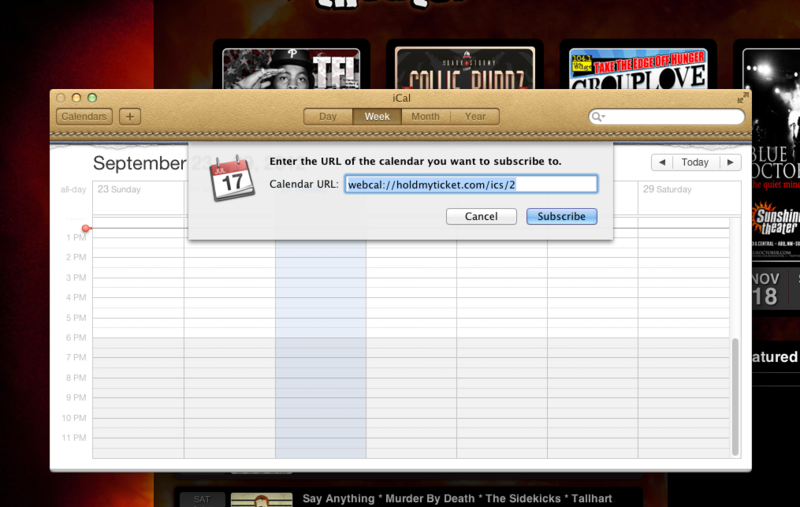 Your iCal app will immediately load with the subscription url ready to add to the calendar. 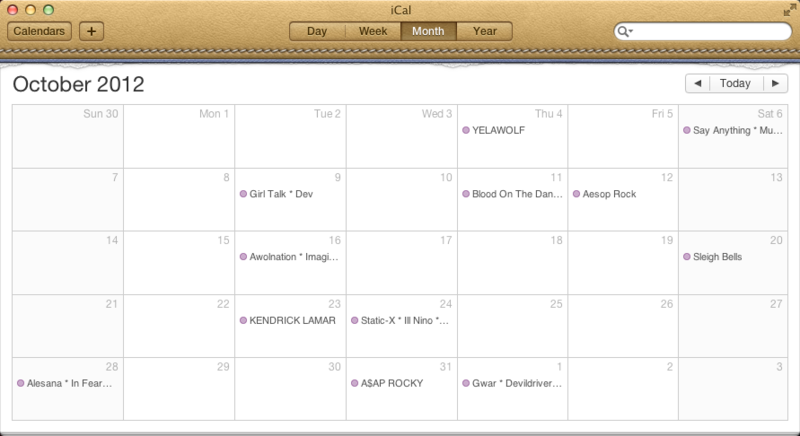 After clicking Subscribe and setting the calendar's options in the next window, the events will be added to your calendar, ready for your review! If you're a venue-owner or promoter and want this option for a site - or if you want your own HMT-Powered site, send us an e-mail, and we'll get you set up right away! 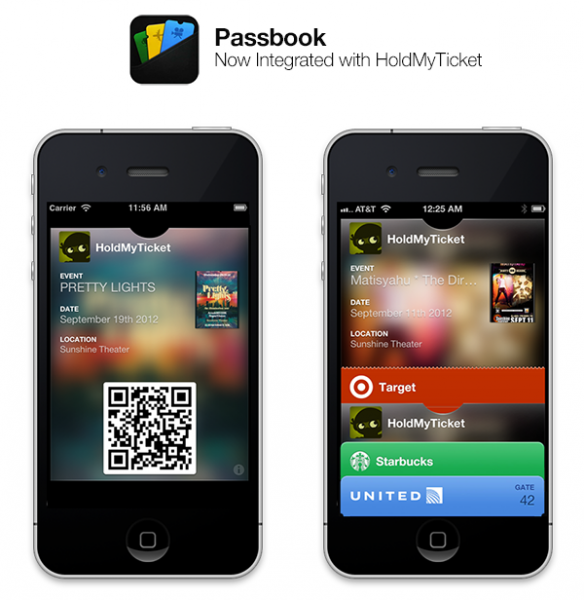 Good news, iOS wranglers: your HoldMyTicket event tickets and passes will be fully available in Apple's new Passbook app for iOS 6. If you haven't heard the buzz with today's release of iOS 6, Passbook comes along with the new operating system and is Apple's response to the growing trend of paperless ticketing. It offers a single app for storing, retrieving and reviewing all kinds of different electronic tickets, passes, coupons, and many other things - essentially anything scannable. This means that your HMT tickets will be easily available and ready to scan in seconds flat when you reach the gate at one of our events - just bring up the ticket in Passbook and offer the barcode or QR code to scan, and you'll be in. Passbook will even send a reminder to your home and lock screens as the event approaches. Of course, Apple was not content to simply make an organizational tool - Passbook also allows the issuers of these tickets and passes to give the ticket holders real-time updates, such as a gate change for your departing flight or an updated balance on a gift-card. The HoldMyTicket team feels Passbook is a fantastic innovation that will make your active, exciting life that much easier, and we're hoping to see our Ticket Ninja poking his head out from your stack of passes someday! Albuquerque's HoldMyTicket is becoming a growing player in the local ticketing world and beyond. At last weekend's mixed martial arts bout at Tingley Coliseum, Jackson's MMA general manager Ricky Kottenstette tried the HoldMyTicket system to sell about 6,000 tickets. "It worked great," Kottenstette said. "It's the future of ticketing." Using HoldMyTicket software and the company's iPhone check-in system, Kottenstette could see who bought tickets, whether they had arrived and more — at a lower price than major competitors charge. In the past year. HoldMyTicket has doubled in size to eight employees. Last year the company grossed $2.8 million in sales, and it's on track to roughly double that this year, said CEO Wes Edling, all from its office in the Sunshine Building in downtown Albuquerque. The company has become a leader in using new technology, such as iPhone apps and integrated software that can sync calendars, ticket agents, social media, demographic reports and more to connect ticket sellers to concert fans. Coast to coast, the company sells tickets for 550 venues and events, and three to four venues sign contracts every day. 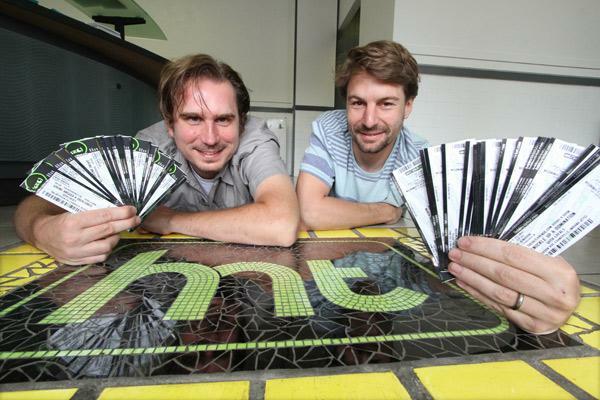 HMT started after Joe Anderson, the owner of the Launchpad and Sunshine Theater venues, asked Edling and Jeremy McCollum if they could come up with a better ticketing system. "I told him yea, but it would cost $40,000. It's complex," said McCollum, HoldMyTicket's president and COO. "But we saw that there could be a need for it." 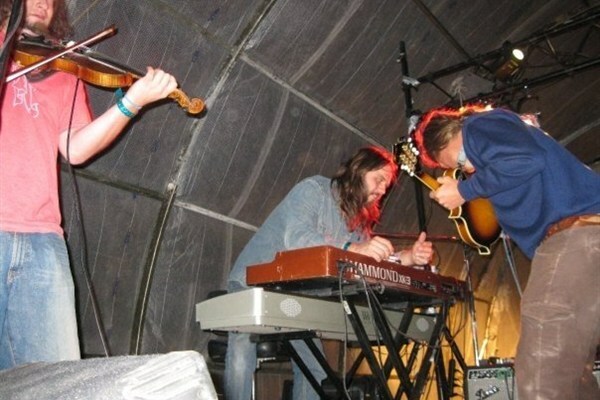 McCollum is also a musician with the band Supergiant. As his band played at clubs across the country, he noticed they all had similar problems with ticketing. Their websites were out of date, lines at shows were unnecessarily long and tickets were only available at the door at small venues. So McCollum and Edling started meeting every day at the Downtown Flying Star Cafe "for the free Wi-Fi," McCollum said, and started writing software, originally for the Launchpad. The two would go to their day jobs at the Weekly Alibi, where they supported its website, then head back to Flying Star, sometimes until they were kicked out, working step by step on HMT. In the early 2008, from a back booth near the kitchen, they sold their first ticket. One early coup, Edling said, was figuring out how to sell for reserved seating charts. "It's a really complicated thing to pull off." he said. "You have 1,000 seats, but 1,000 want one seat, and there can be 10 shows, and season passes, and the list goes on." Because of that, the first setup when a venue signs a contract is detailed. HoldMyTicket needs to know where every seat is, how much every seat will cost, where the priority seats are, which seats will be held and where the ticket booths are. What made HMT really take off, though, was the new generation of iPhone-compatible code readers and QR code scanners. "It worked great at Tingley last weekend," Kottenstette said, "I could show [the fire marshal] his exact numbers and get back to work, rather than having to spend 20 minutes doing a crowd count." The check-in system also makes it easy to spot a stolen ticket (via ID) or a fake ticket (because it won't scan). Edling and McCollum want to compete with the bigger ticketing companies. "The problem is it takes more money to get the infrastructure," McCollum said. "The more money we make, the more money we try and invest in the company." Industry behemoth Ticketmaster has, by some estimates, 83 percent of the overal ticketing market, according to the Washington Post, and sells tickets for venues across the globe, including the Hard Rock Casino Albuquerque PResents The Pavilion. "Competing with that is tough." Edling said, "We're trying to find the venues that don't need Ticketmaster." Are you ready for a long-term relationship? The hard-working team at HoldMyTicket has added some more features to help you keep in touch with those special ticket-buying someones in your life. The Event Messaging tool allows you to contact everyone who has purchased a ticket for a given event and keep them updated on news, promotions or anything else you feel they need to know. The Newsletter tool gives you everything you need to create customized newsletters to your past patrons. We've packed in quite a lot of features in this one - it's a whole application in itself. You can create your list of recipients by entire venues, but you can also bring together customers from entirely different places by sorting your contacts by tags - the search terms you use to categorize your events: by genre, style, series - or in many other ways. If you're ready for these features, please call your customer rep at our number: 505-886-1251 (And if you don't have a customer rep, ask us, and we'll set you up with one!) Click the links in the paragraphs above to read the details but, above all else, dive into your account and start rolling out the e-mails - just remember to email responsibly by following the CAN-SPAM Act! 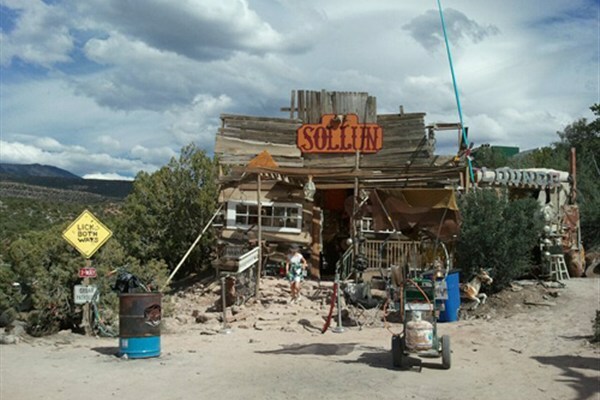 As always, stay tuned on this blog or our Facebook page for more updates - more is always on the way. 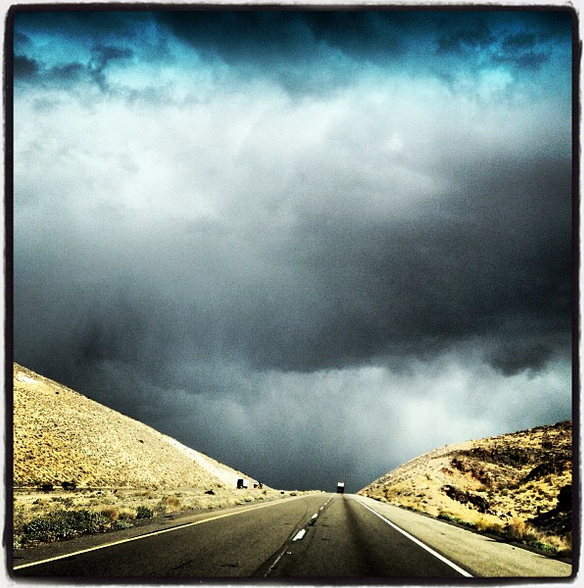 In less than a week, HoldMyTicket's Ticket Bus will be making its way to Green River, UT for the 2012 Desert Rocks Festival, and we are getting psyched! 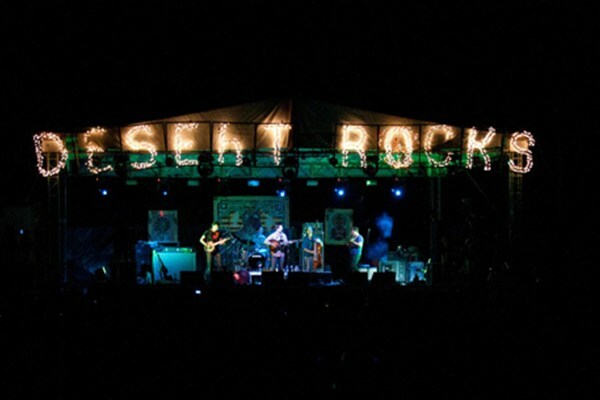 More than just a showcase of bands, Desert Rocks is a 4-day confluence of performance and visual art, lectures and workshops on consciousness issues and sustainability, film, small gatherings, even a 5k - the list goes on and on. Obviously this is not your average festival. 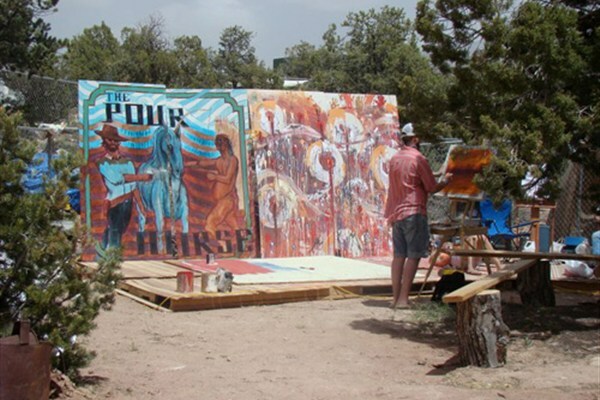 On top of that, this year's festival is going to be held at the Jenk Star Ranch, a 40-acre, 100%-solar-powered village of mixed-media art installations devoted to the same raised-awareness and creative themes of the festival. It seems like a perfect fit. 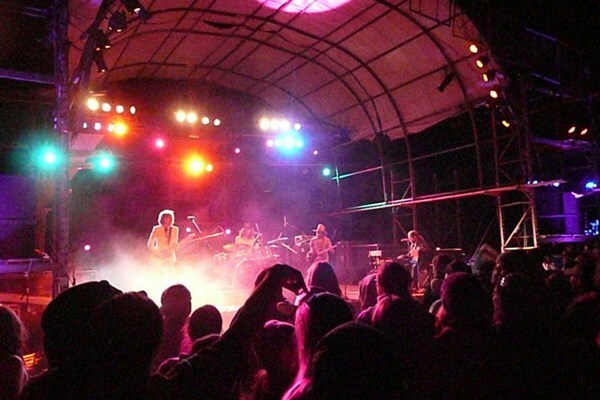 The ranch, run by Salt Lake City's Solar Saucer Cosmonauts, is set up for large gatherings and performances, and festival-goers will have access to their permanent art installations and media laboratories, too. You can't forget the music, of course, though it would be hard to miss it: there will be well over 100 bands playing on 4 stages. We're not going to list them all here, but we've got The Wailers Band, Brother Ali, RJD2, JGB and Govinda making appearances, to name a few. There are quite a few groups, such as Lucent Dossier Experience and Beats Antique, that combine music, dance and performance art in a single mind-expanding show. Unfettered creativity is the decided flavor of this event, so expect a large variety of different media, ideas and melodies to mix pleasantly across the festival grounds. When the whole idea is the collective expansion of human consciousness, there will be less emphasis on a monolithic, stage-audience dynamic and more of an open, multifarious, hive-like buzz of activity. Expect to meet all kinds of new people to mingle, dance and wax philosophic with. Fun will abound, but we highly recommend this festival for those who like to dig a little deeper into their experiences, push their boundaries and come away from their experiences with a little shared wisdom to go with their good times. If you are cast from this mold, you'll want to check out the lectures and workshops Desert Rocks will be hosting. Speakers and workshop leaders include Mitch Schultz, producer of the film The Spirit Molecule, Jonathan Talat Phillips, author of The Electric Jesus, and Charles Shaw, of Exile Nation fame. Check out the video below for a closer look into the rhythm and color of past festivals. Reserve your tickets if you haven't got them, and we'll see you there! 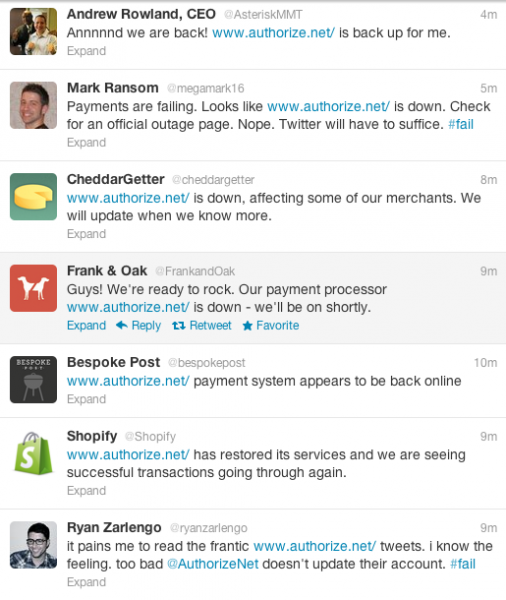 About 30 minutes ago, Authorize.net stopped accepting our transactions. It seems they've been having difficulty with customers worldwide. What this picture shows is that there is a connection difficulty with Authorize.net. That connection speed at the bottom, which should be same at the top, reflects Authorize.net's ability to connect to us, and it is about 300x larger than it should be - a number large enough to indicate a disconnect. We're sorry for the inconvenience - check out our own twitter feed @hmtnews to find out when things will be back up! Do you want to learn more about our online ticket applications? 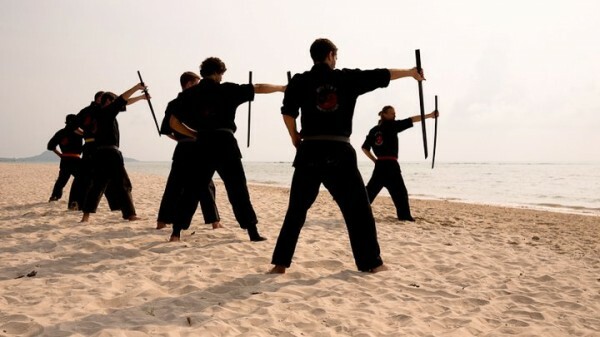 Feel like you want to take those extra steps to master the art of Ticket Ninjutsu? HoldMyTicket is announcing the release of Ticket Dojo: a series of online tutorials for its ticketing platform. The lessons will progress in a gentle learning curve, allowing you the comfort of knowing for certain that you understand the basics before moving on to the more complex topics. You'll be a Ticket Ninja in no time! The lessons start today with an introduction to our Boxoffice app. We will be releasing more lessons on Boxoffice over the course of the next few weeks - with more topics to come. Stay tuned, and happy training!